The client, Krown PR, was recently founded by a seasoned publicist and public relations specialist. Krown PR specializes in public relations for small businesses, government agencies, and organizations in Lake County, Illinois. The client had set up a Wix website and was finding that it wasn’t suitable for the company’s needs. It didn’t provide her the ability to create the professional appearance her business needed, and it wasn’t easy to add new features that the client needed to grow her business. In addition, the client didn’t have consistent branding and needed a full brand package (including logo design, business cards, powerpoint presentation and social media covers) that would give her clients the confidence that she was a leader in her industry. 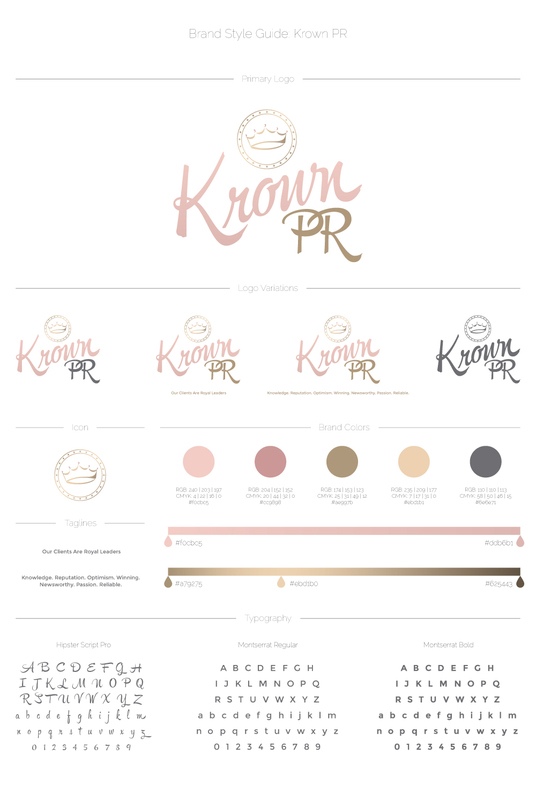 We started the process with Krown PR with the logo and brand design. This included selecting colours that were feminine and evoked the imagery of royalty, developing a full logo and branding package, selecting fonts that would set the client apart from her competition, and developing supporting brand pieces. Once the client’s branding had been completed, we moved on to design and develop the client’s website. One of our main concerns was to move the client away from Wix, where there were limitations to giving her the features that she wanted. We decided that Squarespace was the best bet for this client, which was extremely user friendly, giving the client the ability to update the information as needed, and new products to an online store, and provide thorough integration with her mailing list, while still providing us the advanced ability to design the website in a way that would best showcase the client’s brand. The client’s website was designed while starting from one of Squarespace’s preexisting themes, and not from scratch, in order to provide the client with the quality that was within her budget.